Attack 1 : Rainbow Power!!!!! Does 100 damage and confuses enemy. 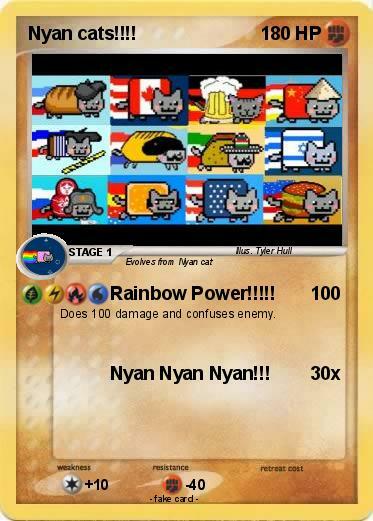 Attack 2 : Nyan Nyan Nyan!! !